The elephant is a pachyderm which plays a significant role in Indian culture and ethos. The mammal is much venerated in various parts of India as it said to symbolize wealth and even the planet Jupiter. However, elephants are not only a cultural icon in India but they are regarded similarly throughout Asia, though like the Indian elephant, other species of Asian elephants have now come to be classified as critically endangered as well. In Malaysia, the Malaysian Department of Wildlife and National Parks set up the National Elephant Conservation Centre at Kuala Gandah in 1974, to protect and rehabilitate the Malaysian wild elephant. This sanctuary, which is the only one of its kind, is located with the bio-diverse and protected Krau Wildlife Game Reserve in Lachang, Pahang. The sanctuary can be easily reached via a one and half drive from Kuala Lumpur and if you have a love for these gentle giants, you should perhaps pencil in a visit as a part of your sight-seeing itinerary. 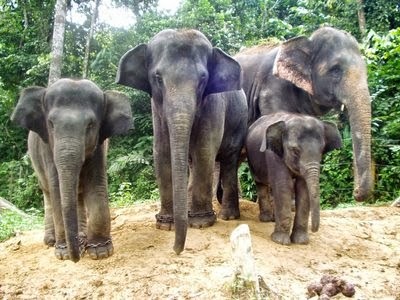 Records currently indicate that only about 1200 elephants remain in the wild in Malaysia today. Elephants help to maintain the integrity of forests and grassland habitats but development encroachment on their natural habitats has brought them into conflict with humans. The NEEC has worked tirelessly over the last three decades to protect the Malaysian wild elephant and it is believed that the organization till date has located, rehabilitated and released more than 700 Malaysian wild elephants. The rehabilitated residents of Kuala Gandah are eventually released into relatively safe environments like the Taman Negara National Park where the chance of conflict with humans is much less. 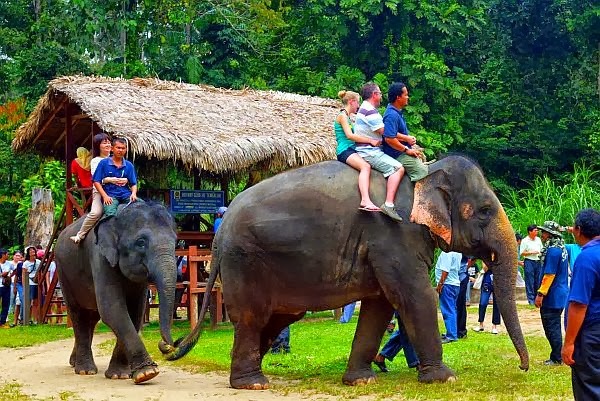 A trip to the Kuala Gandah elephant sanctuary is a must-do if you are traveling with your children for the center offers visitors a delightful opportunity to view these threatened pachyderms at close range. · The Kuala Gandah Elephant Conservation Center is situated in Lachang, Pahang within easy access from Kuala Lumpur City. · The sanctuary offers free admission to the general public. However, you should call the center before you visit, for it permits only 120 visitors to observe and interact with the elephants every day. The center doesn’t charge admission fees but you are encouraged to donate generously as your funds are vital for the upkeep of the facility and its animals. · As soon as you arrive at the sanctuary you are required to register at the main building, after which you are given a red or yellow sticker. Holders of the yellow stickers are only allowed to observe the elephants, while holders of red stickers can feed and help mahouts with bathing of the elephants. · The center opens at 10.30 am every day but interactive activities with the elephants are generally scheduled for the afternoons. 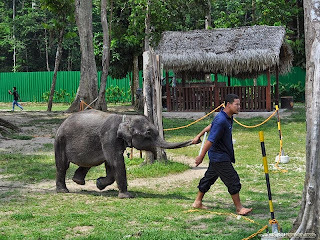 · Aside from enjoying a personal interaction with the elephants, visitors are also encouraged to attend a video presentation on the center’s elephant translocation activity produced by the center in 1996 in conjunction with National Geographic. · Your visit to the Kuala Gandah Elephant sanctuary can perhaps be combined with a visit to Deerland Park located close by. This park offers visitors the chance to interact with various native animals like deer, sun bears and reptiles like pythons and many more.